Having launched the smoking hot Ionic smartwatch, Fitbit is now focusing in on your ears. 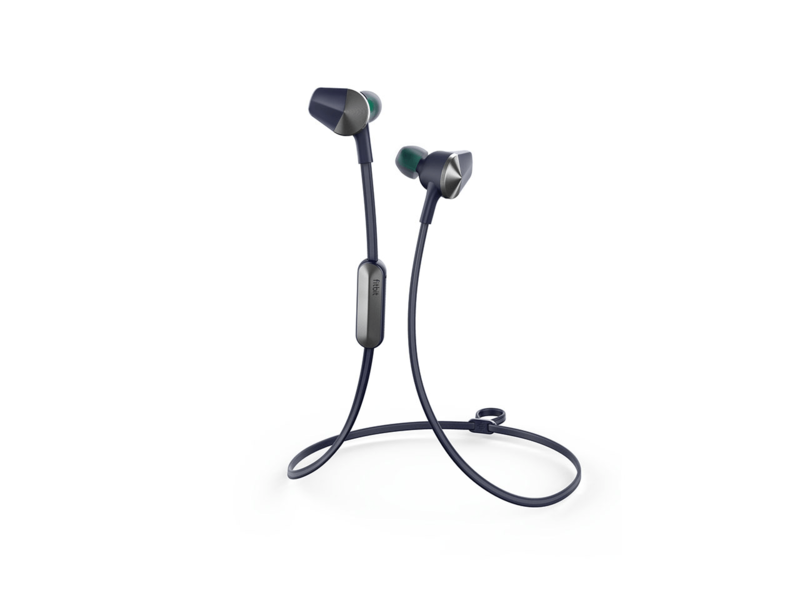 Its Fitbit Flyer Bluetooth earphones look great and are sweat proof, but how good do they sound? The Flyers sell for between $190 and $230 depending on where you shop. They’re also available in two colours – Lunar Gray and Nightfall Blue. 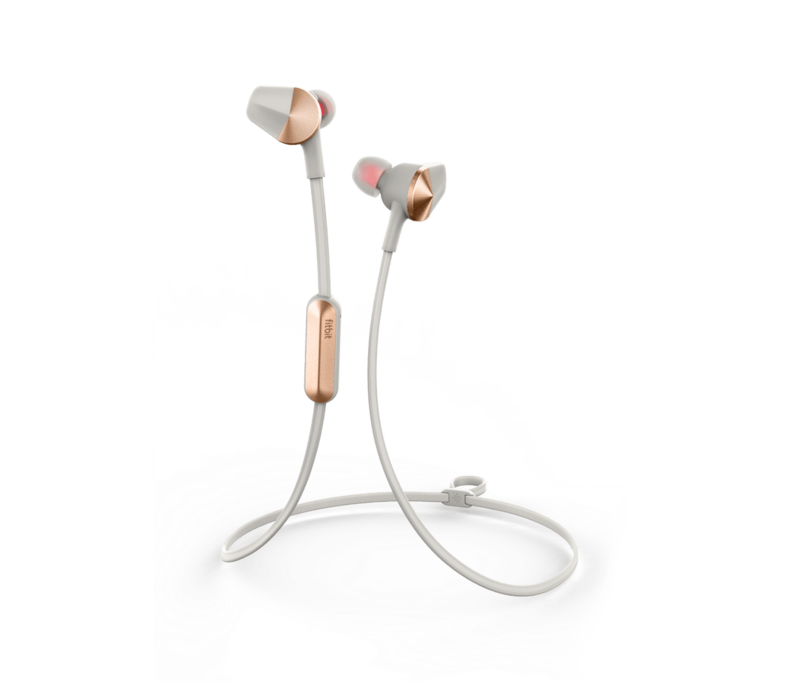 They’re good-looking ear accoutrements with attractive metallic earbuds and controls, and they stay connected to each other using a flat cable. This means it doesn’t get in the way and won’t flap around if you’re running/skiing or doing a pint-lifting workout. 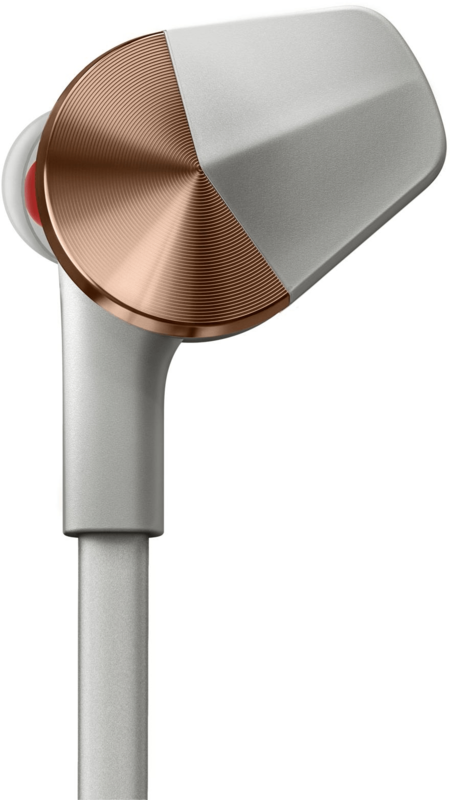 Fitbit’s ear tingler sports a three-button controller on a metallic dongle by the right earpiece. These allow you to tweak volume levels, answer calls, and skip through tracks. On the right earbud is a discrete power/Bluetooth pairing button, which I kept forgetting to turn off. Having a power button together with the other controls would have been a more logical move. The Flyer buds come with a pouch, a charging cable (micro USB), and spare ear tips. In short, getting the right fit into your ‘King Lears’ shouldn’t be a ‘Mission Impossible’. Using the default tips already installed I found them a very comfortable fit indeed. I was curious to see if the Flyers measured my heart rate, did step counting, or counted chip packets as I opened them. They didn’t. They’re not completely devoid of clever bits though. Fitbit has built them to last. They’ve got a hydrophobic Nano coating and are IP67 rated. This means you can go nuts working out and sweat all over them and they won’t crap out (yes, sweat damage is a thing). They’re not totally water proof though, so don’t go swimming with ‘em in your lug ‘oles mmkay? The other clever bit is that they’ll pair with two Bluetooth capable widgets. This translates into them being useable with a phone when out walking and with the Ionic watch. There’s no magic involved so grabbing them on the way out the door means you’re usually good to go. Holding down the select button on the controller also fired up Google Assistant. Queries to the assistant got picked up via their two mics. The assistant was able to fire its answer to my queries over the Flyers and into my Toby Jugs. Nice! I managed to wring almost six hours of use out of the earphones, but then I wasn’t cranking their volume up to max. From an audio standpoint, the they are a pleasant surprise. Their sound is both balanced, and not unpleasant. Hitting both the volume up and down buttons on the controller also lets you choose between modes. Signature mode is for everyday listening. Power Boost adds extra ‘oonst’ for when bass cravings need satisfying. The Fitbit Flyers delivered decent bottom end without sacrificing mids and highs. Kicking them up to Iron Maiden levels produced no discernible distortion, but did loosen earwax and fillings. Kick drums delivered a palpable thump, while hi-hats sounded crisp. All told, the Fitbit Flyers are a solid first attempt at earphones. While there’s bazillions of other competing brands, they can hold their ear buds high thanks to their gutsy yet clean output.